Our dinner plans shifted immediately to appetizers, with this hot. cheesy. corn. dip. 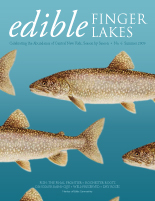 as its centerpiece. 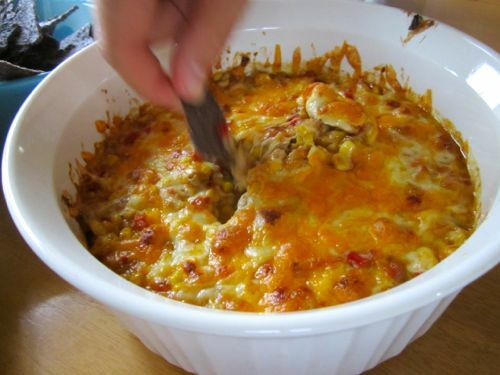 It’s so delicious and addictive; sweet with tender corn, flecked with red pepper and oozy with a mix of cheddar and jack cheese. I left out the jalapeno and cayenne for the spice-averse 2-year old at our table, but next time I’m going to include it — I think the kick would be a perfect complement to the sweet corn and creamy cheese. As I noted above, I’ve made this without the spices for toddler mouths and it was quite delicious, but I think the extra kick from the jalapeno and cayenne would be even better. I’ve also used sour cream in place of the mayonnaise, and it works well. Melt 1 tablespoon of the butter in a large, heavy skillet over medium-high heat; add the corn, salt and pepper and cook until the corn kernels are a nice golden brown, about 5 minutes (or a little longer). 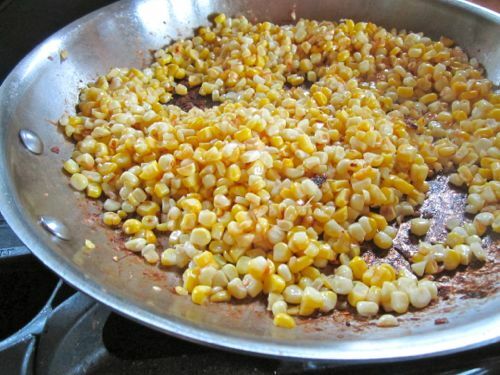 Transfer the cooked corn to a large bowl, and melt the additional tablespoon of butter in the same skillet. 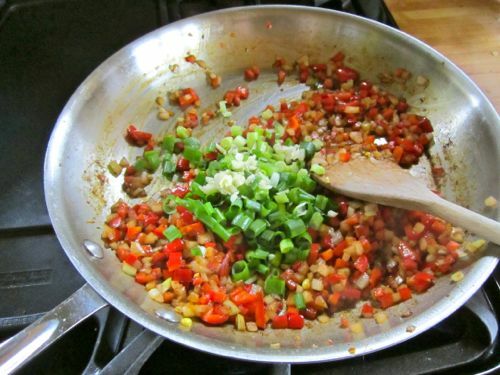 Add the onions and peppers to the skillet and cook until softened. Add the scallions, jalapeno and garlic and cook an additional minute or two. 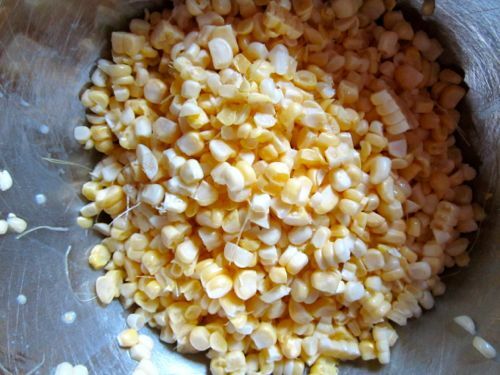 Transfer mixture to bowl with corn. 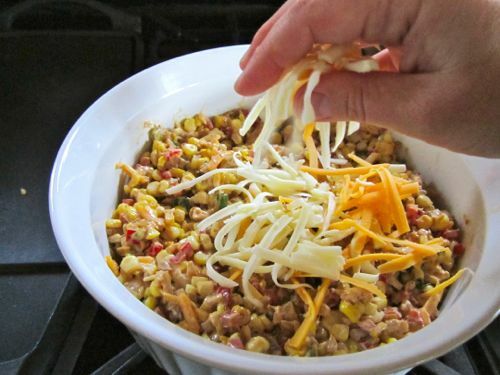 Add mayonnaise (or sour cream), half the shredded cheddar, half the shredded monterey jack, and the cayenne to the bowl and stir to thoroughly combine. Transfer mixture to an ovenproof 8×8 pan. Top with the remaining shredded cheese. Bake until golden brown and bubbling, about 10-12 minutes (you can turn on the broiler at the end to get a nice browning if needed.) Serve with tortilla chips. 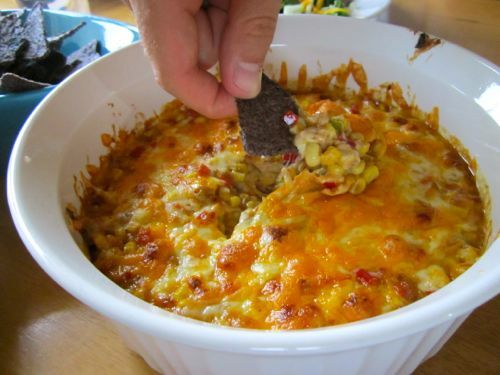 Great to see one of those dips that doesn’t use Velveeta! I just made this tonight! So freaking good!! !